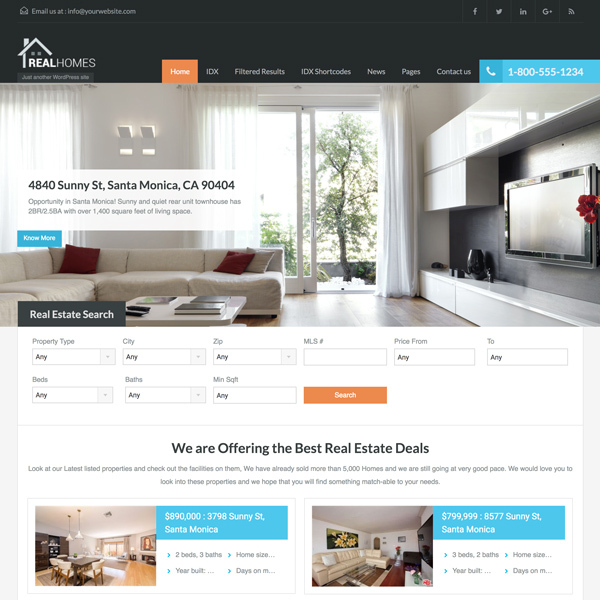 Real Homes provides advanced yet easily customizable search form. 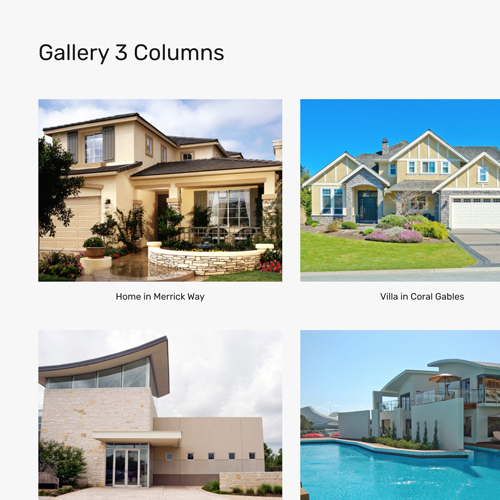 Check out some of the header layouts provided by Real Homes. 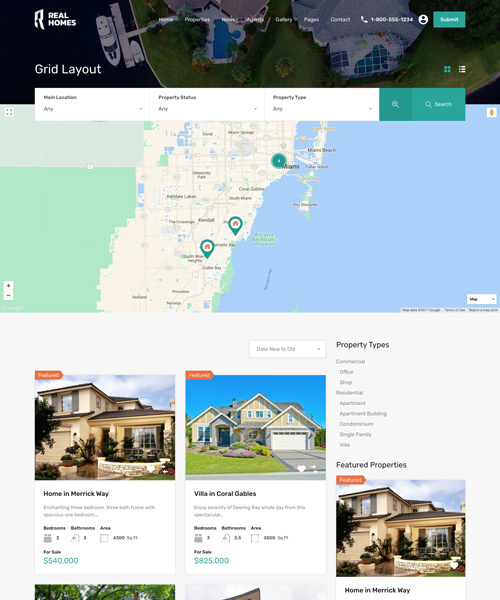 Check out some of the layouts provided to display multiple properties. 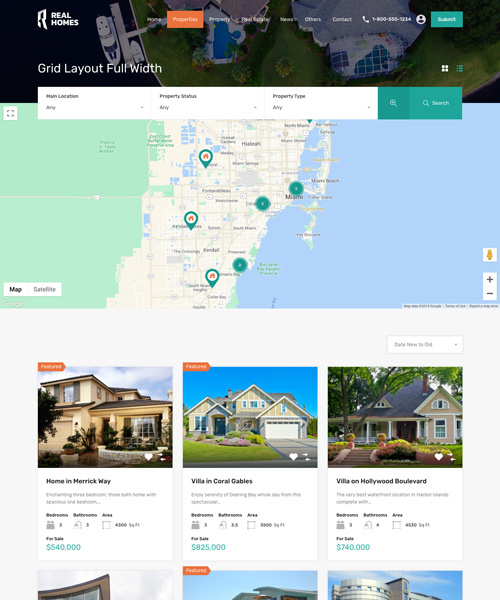 Check out few of the available single property design variations. 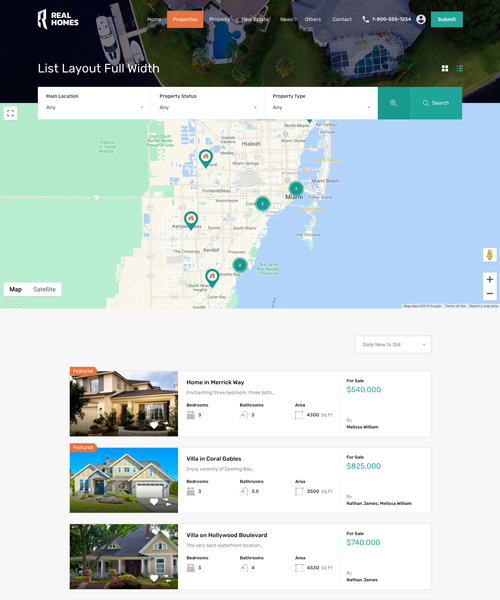 Real Homes provides following navigation layouts to start with. 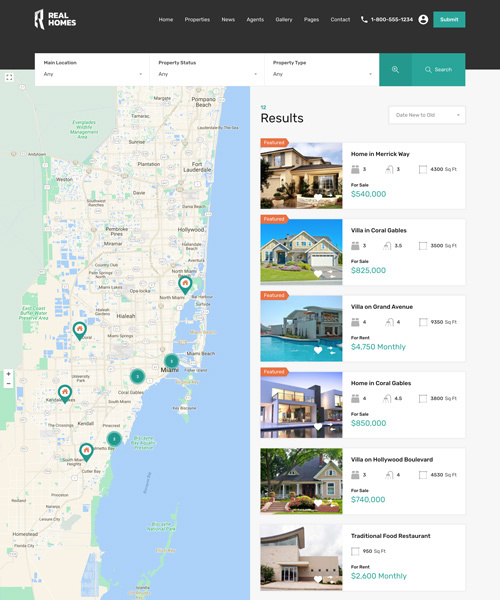 Using Optima Express and dsIDXpress Pro. 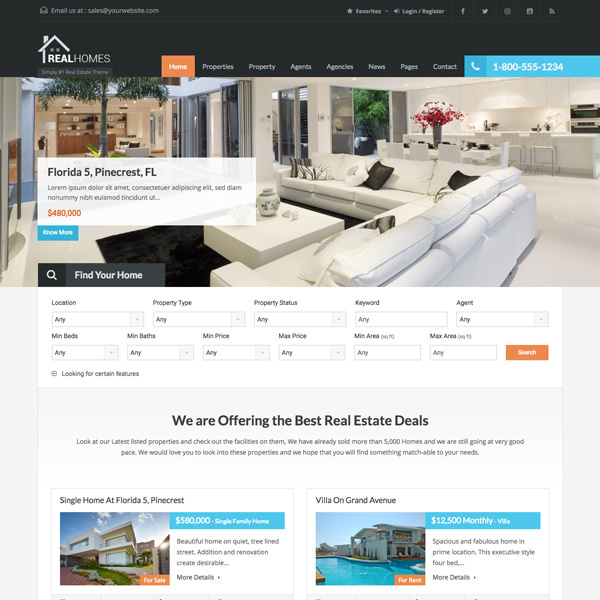 Check out few of many other features included in Real Homes theme. 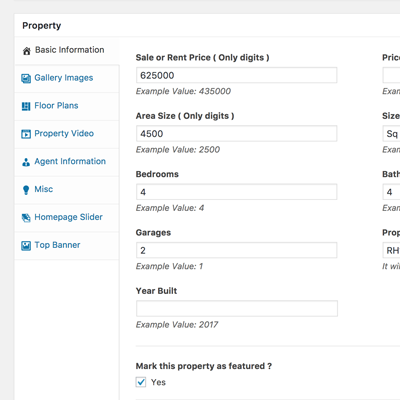 You can add floor plans related to a property using an easy to use interface provided on property edit page on admin-side. 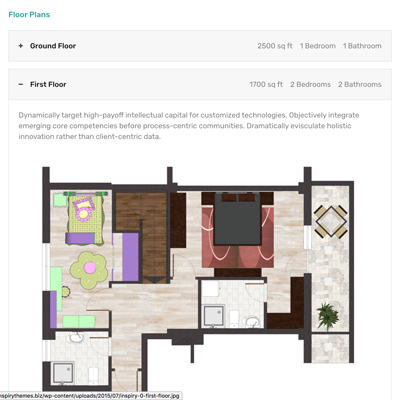 The information provided about floor plans will be displayed on property detail page. 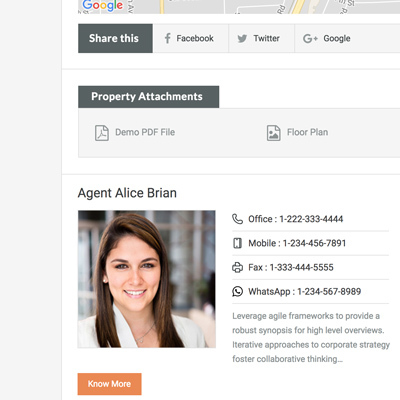 You can provide various types of files ( pdf, office documents, images etc ) as attachments to a property. 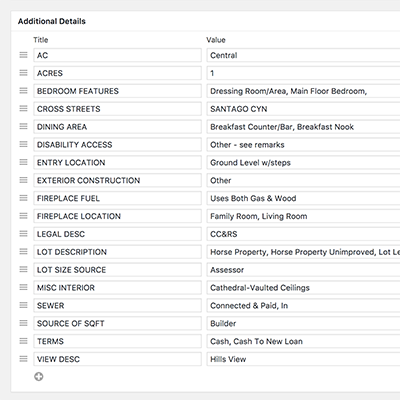 Related icons and links will later on be displayed on property detail page. 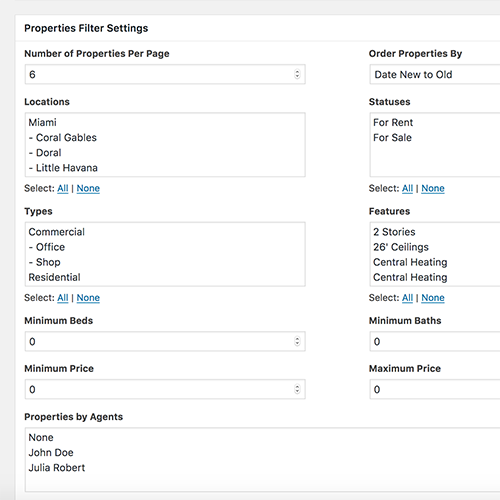 Real Homes provides properties filter meta boxes for properties template, you can use these settings to display properties based on your own choice of location, type, status, beds, baths, price, agent or any combination of these. 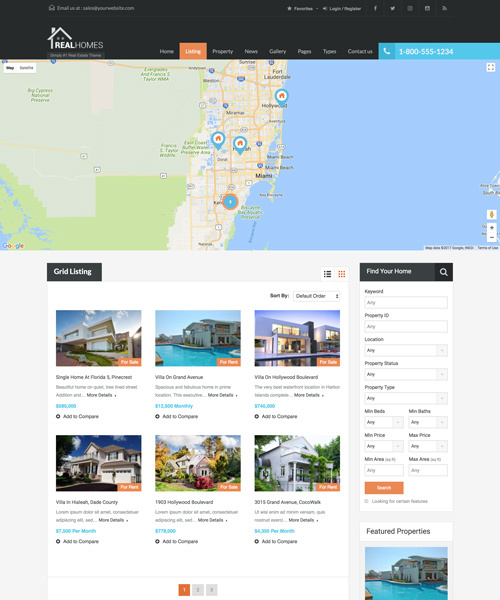 A visitor can add properties to his favorites collection, So that he can visit his/her favorites properties later on. 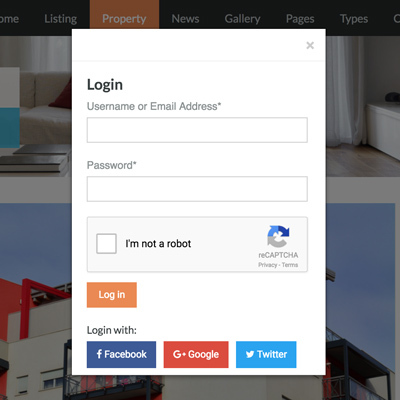 Visitor do not need to login to use this feature as if he/she is not logged in then the favorite properties information is stored in cookies. 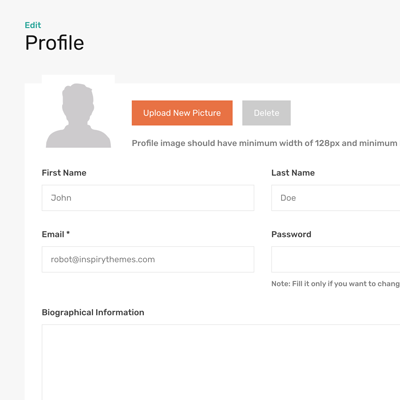 But if the user is logged in then this information is stored in database as user meta. 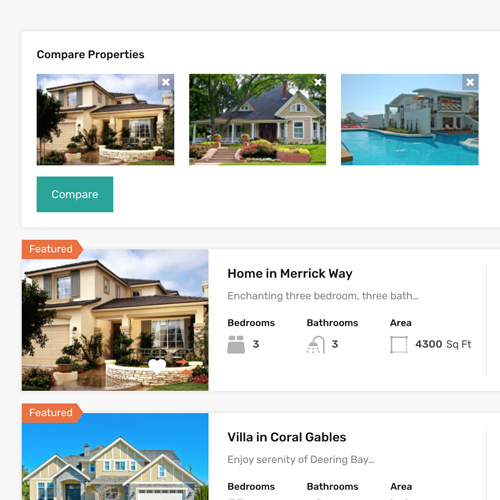 Real Homes theme includes compare properties feature that allow your website visitor to add properties to a compare pool and later on compare those properties side by side. 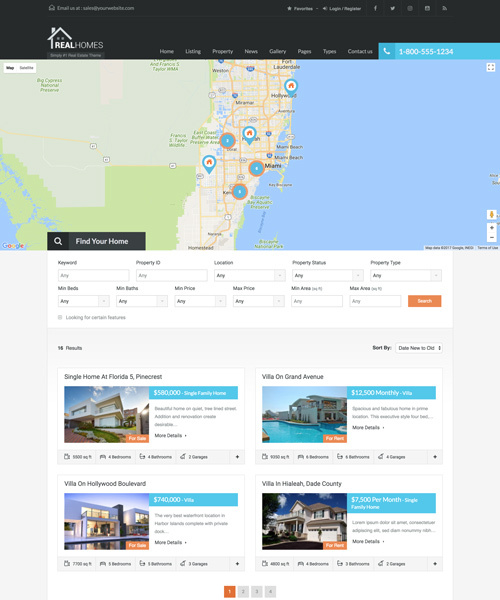 Visitor do not need to login to use this feature. 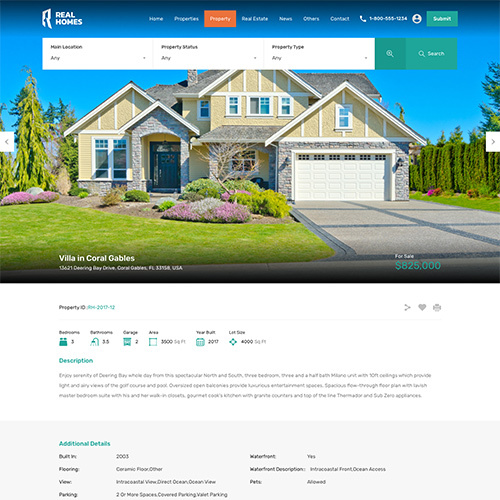 Real Homes provide agents template to list all agents on one page with related contact details. 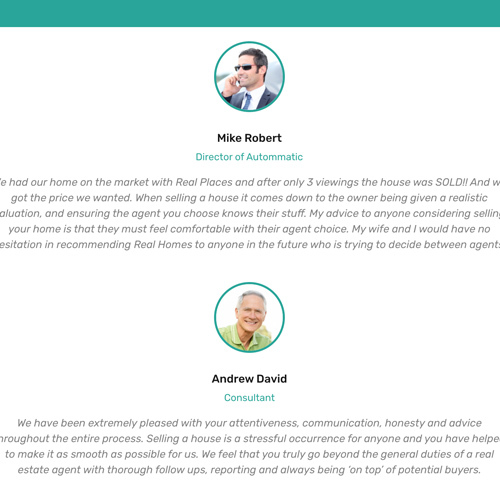 Real Homes theme provides Testimonials support using Quick and Easy Testimonials plugin developed by Inspiry Themes. 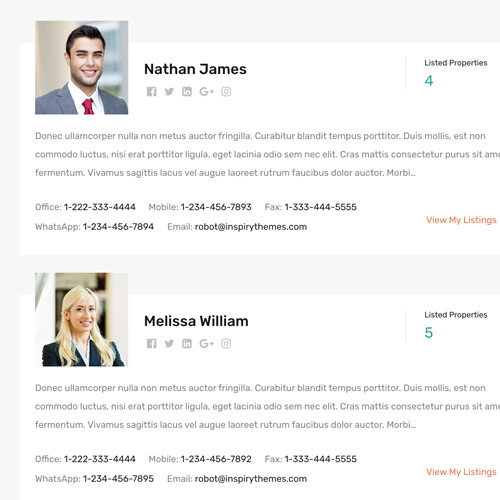 So you can add Testimonials to your website using easy to use shortcode. This is one awesome theme easy to customize, very stable and quick. 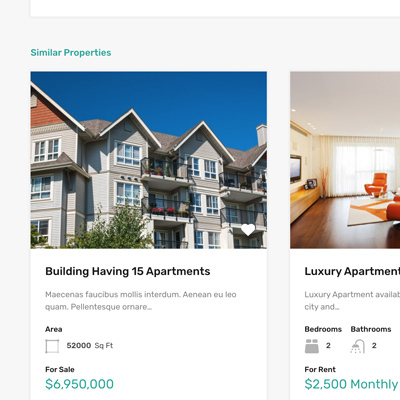 Many good functionalities included and constantly upgraded. I can only recommend this to anyone looking for a theme easy to work with full of features and very easy to customize. 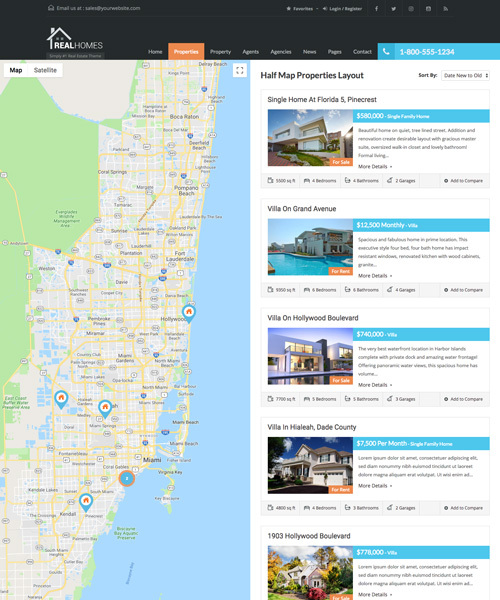 Check out few of the supported integrations with Real Homes. 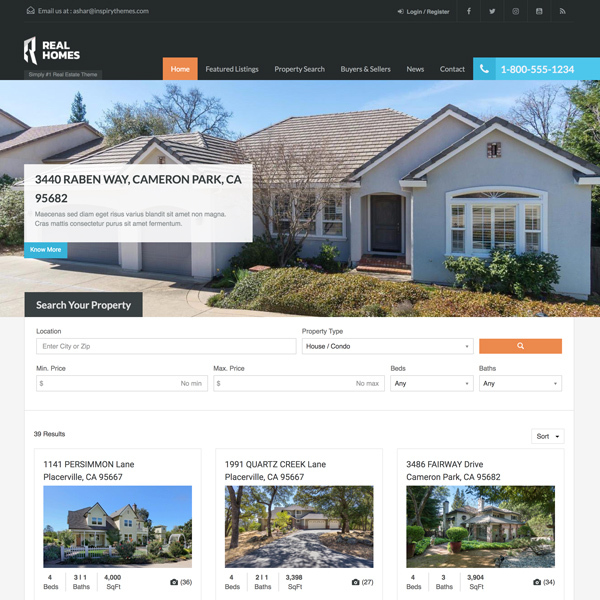 If you are planning to build a multi language real estate website then WPML is the answer for you as Real Homes theme is compatible with WPML. 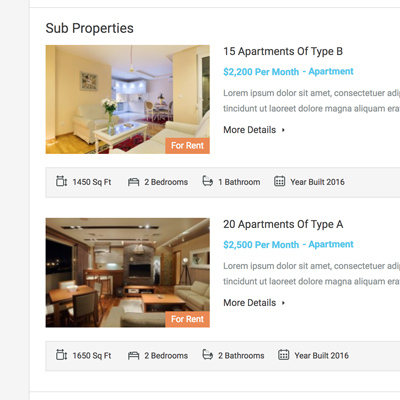 This theme is also translation ready and you can translate it to any one language ( LTR or RTL ) without the need of a plugin. 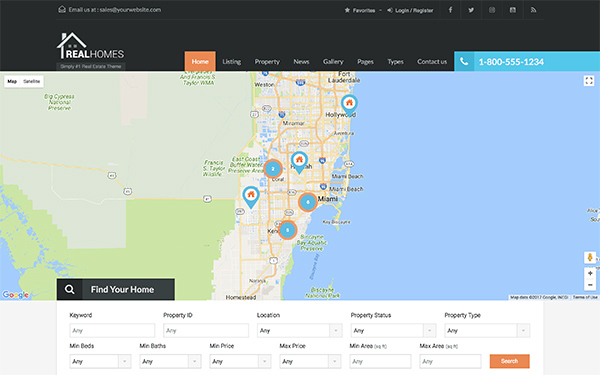 Real Homes is compatible with dsIDXpress plugin and you can check related demos to know more how it looks with dsIDXpress data. 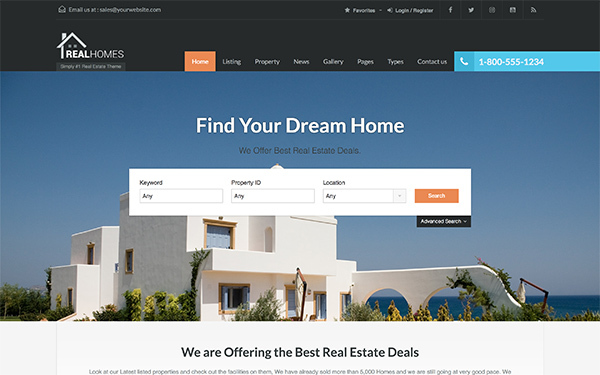 Please note that Real Homes theme supports dsIDXpress plugin as an additional feature and its not a required plugin to create your real estate website. 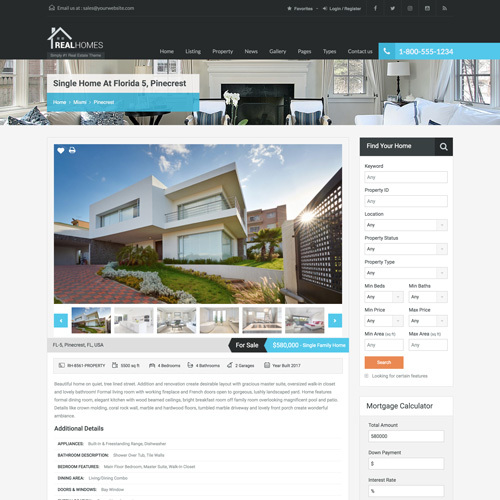 Real Homes theme do not need visual composer by default but you can use visual composer components to build custom page layouts if needed. 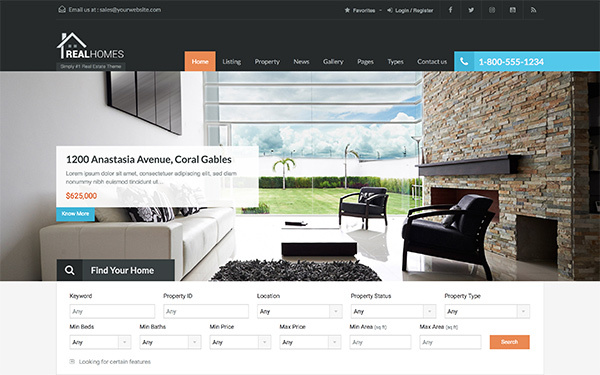 Real Homes provides [properties] shortcode which is also integrated with Visual Composer. 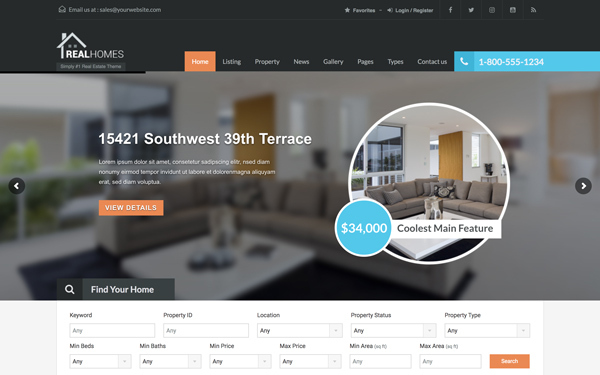 Real Homes is compatible with revolution slider and this plugin comes included as part of Real Homes theme package. 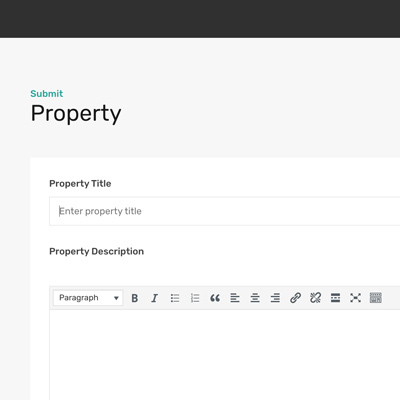 Please note that this plugin is not required because default properties slider options are already in-built within Real Homes. 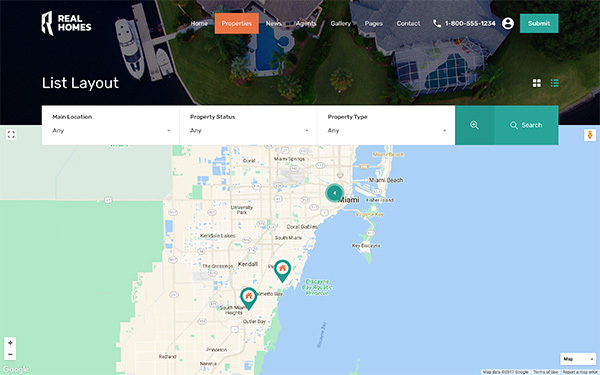 Spam prevention is super important and Real Homes includes Google reCAPTCHA API support for all kind of forms throughout the theme to make your life spam free. Wonderful theme. I've used it in two projects and works perfectly well. Wonderful support, as well. Good work, guys! 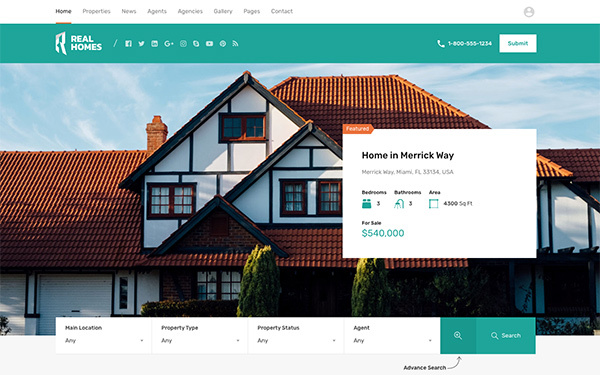 Not only is the customer support great, this theme is my favorite for my real estate clients. 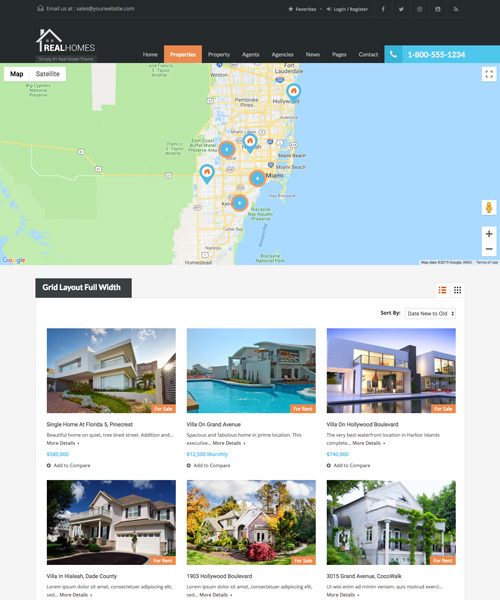 I've used several different Real Estate Wordpress themes, this one is the best! Normally I just install the demos pages but I decide to go and install all manually and it goes better because of the documentation. Excellent explanation! Awesome!!! 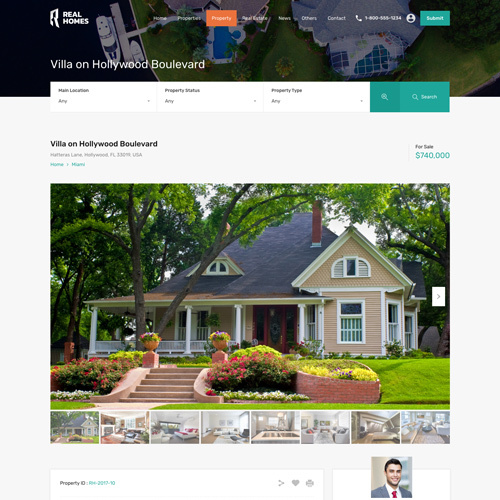 Best theme for Real Estate. 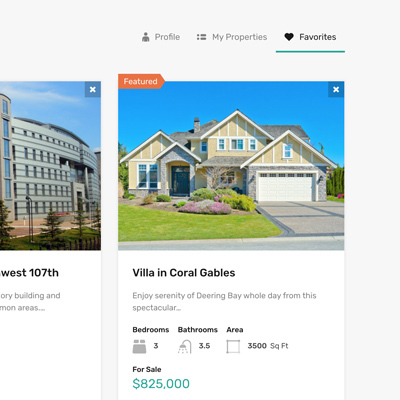 I am very recommended Real Homes theme! 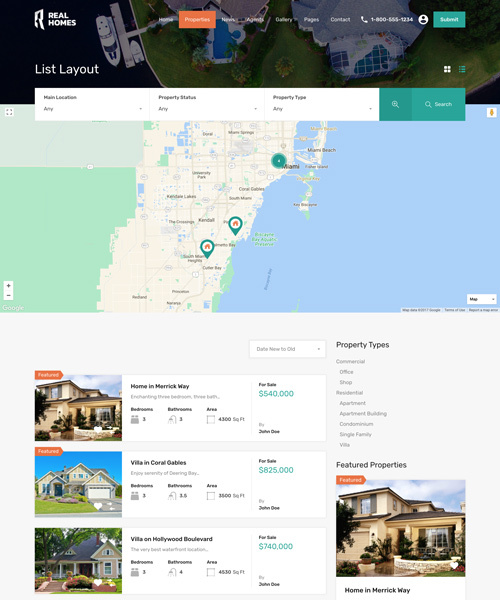 Beautiful design, clean code, working perfect on RTL, great optimization for SEO, A wide range of functions and elements in real estate field and much more... 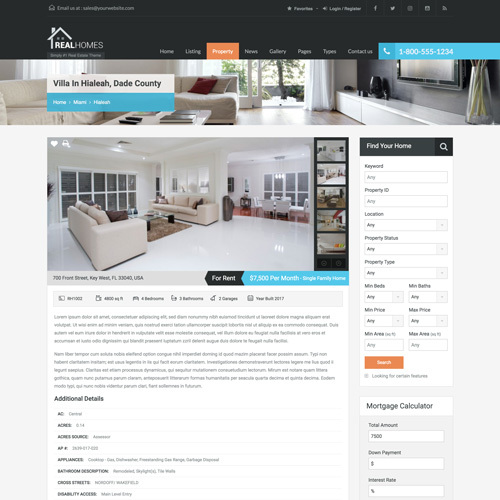 The support for this theme are professional and all the time are happy to help. Thank You Very Much!!! Fantastic customer support. 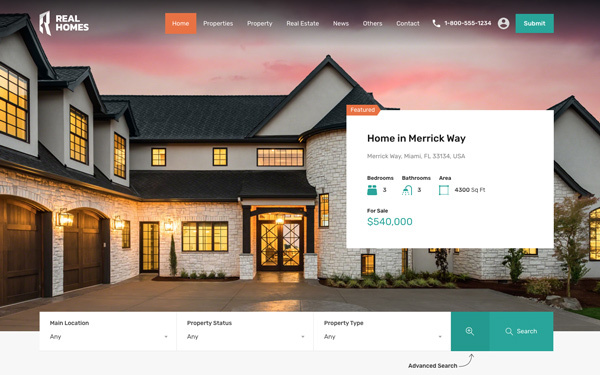 If I had any issues or even wanted to customize it a bit, understanding that it might be a little out of scope for support, they still did everything they could to make sure I was able to produce the look and feel that I wanted. 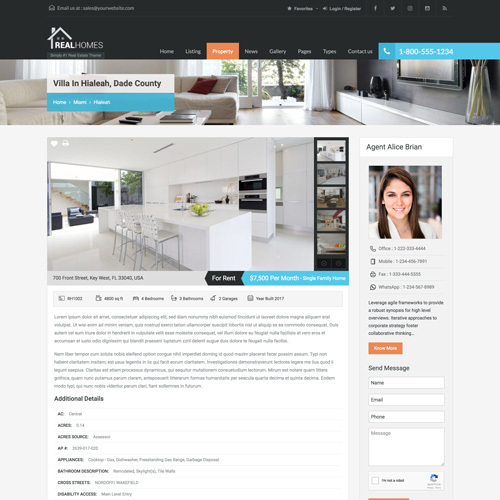 Love the Real Homes WordPress theme. 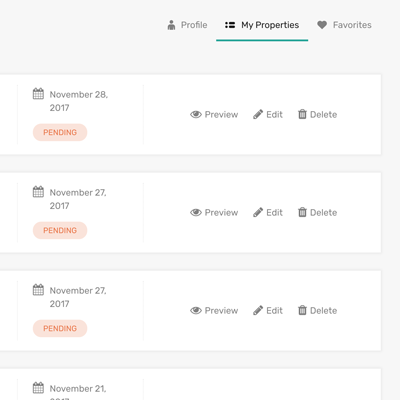 Thanks again InspiryThemes! 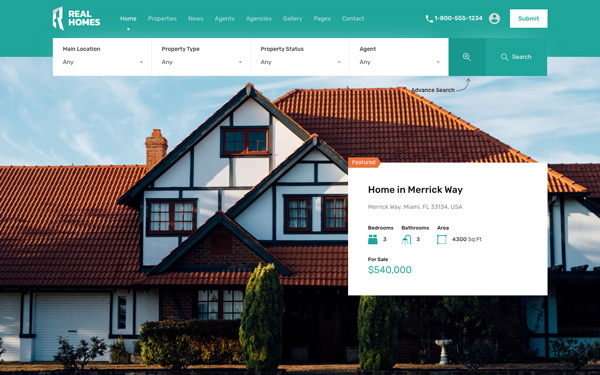 Real Homes includes following basic features to make it easy for you to use it. 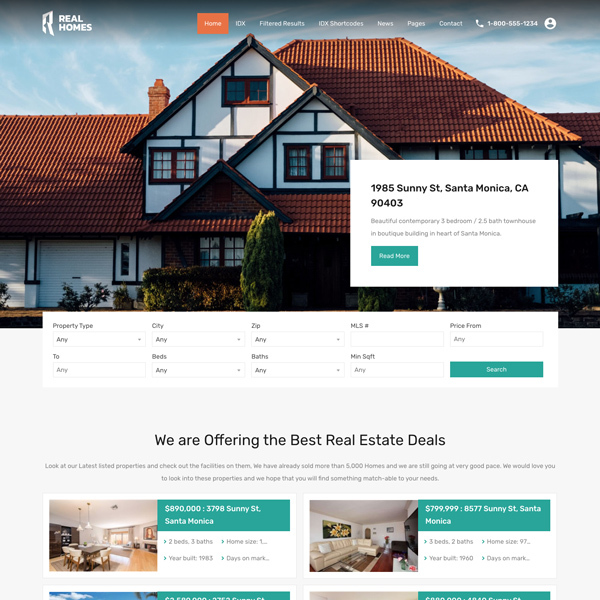 Real Homes theme includes one click demo import feature to help you quickly setup your site like the theme demo and learn many things by simply observing how those are done on demo imported site. 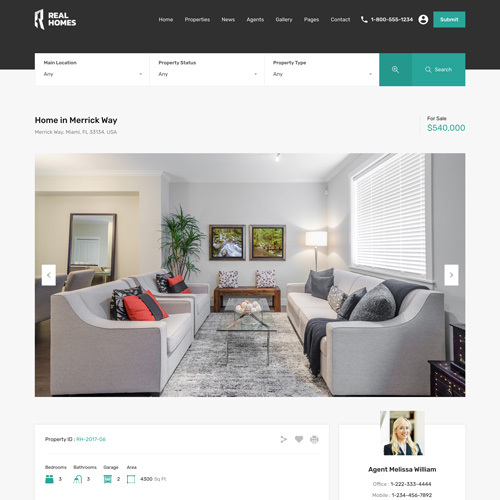 Easy to understand and comprehensive documentation is included in Real Homes package and it is also available online for easy access. 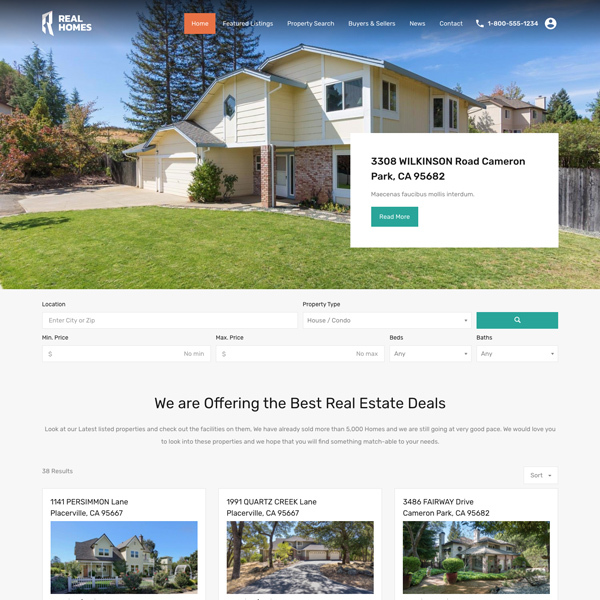 Real Homes documentation will guide you through all the stages of configuring this theme and to prepare your website for success. We have dedicated support staff to help our customers. 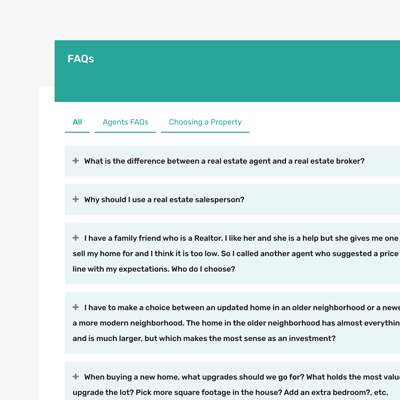 After purchase, You can signup to our support website and ask your question over there.